’Masking tape’ limited item by Kyoto Central Post Office. Maki Takahashi's Kyoto souvenir hunting. Something new, something attractive, something to brag about..
Maki Takahashi who lives in Kyoto, writes about the city and she is also a 'stylist of small Japanese craft' would like to cheerfully introduce Kyoto's souvenir goods. 《003》'Masking tape' limited item by Kyoto Central Post Office. The other day, I went to see 'EUROPE-KIKAKU' in the 34th stage in between my works. 'EUROPE-KIKAKU' is a project team and also a theatrical company which locates their office at the 2nd floor of 'Ueda-seika Hompo' near by my house. Recently, each of their members are going around so many cities through the whole country with tremendous energy and appear on movies and TV shows. Even though they work at my neighborhood, I don't see them often at their entrance anymore. 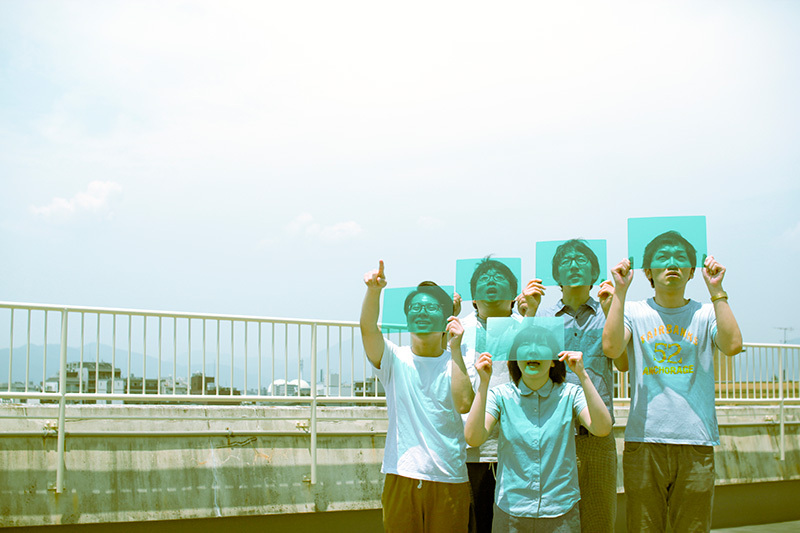 Their latest show, 'The approach of Planet Bunboogu' is about a 'comedy of stationery' stated by Makoto Ueda who is the leader of this crew. In this comedy stage, a thing that makes us laugh is a 'Masking tape' which is a huge trend for woman in these days even though this item is a newcomer out of all stationery. This stationery item is considered as a 'curing tape' by most of the man on earth. However, now it is coming up as a fashionable stationery item and also necessary for a life among women in these 5 or 6 years. Originally, it became popular through 'mt' brand produced by Kamoi Kakoushi in Kurashiki. You can find them at any 100-yen stores now. I absolutely have them on my desk as well. To tell you the truth, I collect them like I am possessed by something. I barely use scotch or any cellophane tapes because of the cuteness and convenience of these masking tapes. Now, there are some artists who make collage works by using these variety of masking tapes. Moreover, it also spreads their name to a local souvenir collection recently. It's very cute, isn't it? Not only just a cuteness, but also something that you can feel on your fingers from a Japanese paper with its pomp. Moreover, a feeling that you tear off without a pair of scissors or blade is fitting in this modern era somehow. Well, I found this limited edition masking tape at Kyoto Central Post Office, which has Maiko-han, Okobo (Maiko's sandal), Kinkaku (golden pavilion), Torii (shrine gate), Ginkaku (Ginkaku-ji Temple), Sakura tree, Buddha statue and Japanese traditional umbrella in a vivid red color base. It costs only 401 yen (Tax included), so you might want to buy some for you and some for your friends as a souvenir. It says, 'Kyoto 01' on a label, so it is supposed to mean to have 02 version for the next. I can't wait to see that. Actually, it seems that an original masking tape from 'The approach of Planet Bunboogu', which I couldn't find at Kyoto stage (I requested on their survey), comes out in a public for sale since Nagoya stage. I really wanted to have it though! If you go to Tokyo stage, then you should check that out for your masking tape collection.